Ouze has uploaded 1565 images. Airbrushing - You Guys Think An Iwata Cm Plus Is Overkill? Any Idea How This Chimera Conversion Was Made? 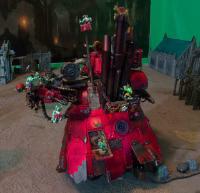 Can Anyone Identify These Whfb Bits? Grainy Texture On Miniatures When Compressor Has Run For An Extended Time? How To Clean\avoid Superglue Fog? How To Paint Kommando Khaki? How To Paint The Effect On The New Necron Overlord's Shoulderpads? Identification Of Gws Mystery Bit/head Swap On The Official Gws Blog? 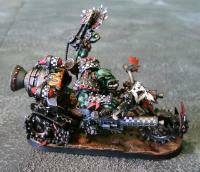 Need Assistance Assembling Fw Ork Biker Boss?